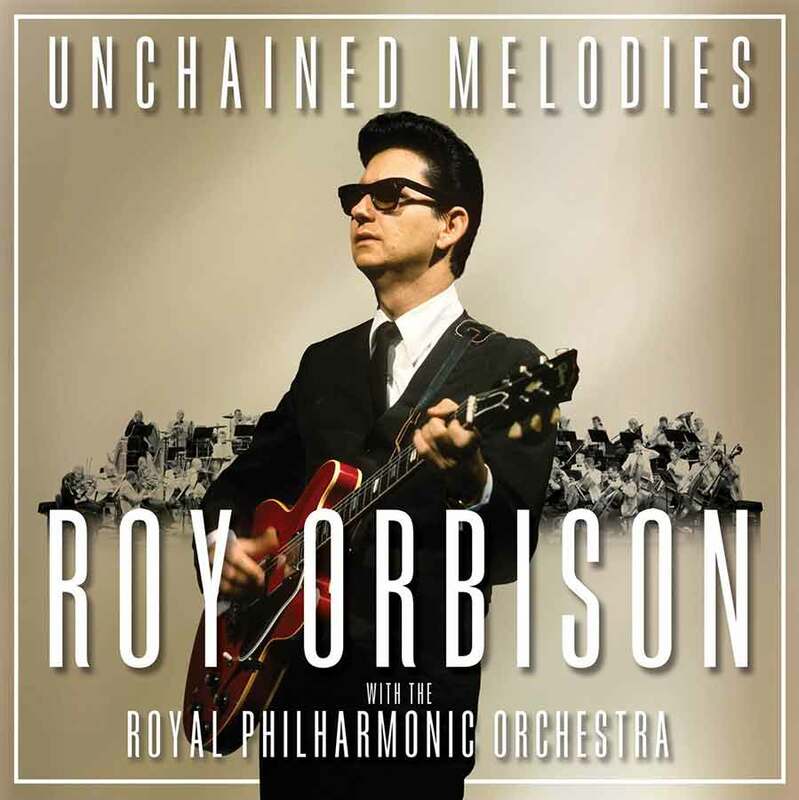 Unchained Melodies: Roy Orbison with the Royal Philharmonic Orchestra is being released November 16 through Sony Music’s Legacy Recordings in partnership with Roy’s Boys LLC, the Nashville-based company founded by Roy Orbison’s sons to administer their father’s catalog and safeguard his legacy. Available on CD and digital formats on November 16, and double vinyl LP on November 23, this brand-new album infuses Orbison’s best original vocal performances with the emotion and world-class musicianship of the Royal Philharmonic, London’s most notable orchestra. With the production team of Don Reedman and Nick Patrick again at the helm, Unchained Melodies is a fitting follow up to last year’s sensational A Love So Beautiful: Roy Orbison & The Royal Philharmonic Orchestra. Reedman and Patrick have an unparalleled track record in this field, having also produced If I Can Dream: Elvis Presley with The Royal Philharmonic Orchestra and The Wonder of You: Elvis Presley with The Royal Philharmonic Orchestra. Roy’s sons Wesley (guitar), Roy Jr. (guitar) and Alex (drums), contribute additional instrumentation on select tracks and are occasionally joined by the “Orbison women” on back up vocals – Wesley’s daughter Emily Orbison (whose husband, Cameron Davidson, engineered the session), Wesley’s fiancé Jennifer Hicks, Roy Jr.’s wife Åsa Orbison, and Alex’s wife Erika Wolf Orbison all participate, truly making Unchained Melodies a cross-generational family affair. Where last year’s A Love So Beautiful focused more on hits, the repertoire selection for Unchained Melodies is driven by material that specifically lends itself to the orchestral format. Some tracks are included as the result of a poll where fans were asked what should be included on the project. The top six were “Walk On,” “Leah,” “Crawling Back,” “Blue Bayou,” “Danny Boy” and “California Blue,” all of which are represented. The material spans between 1963 and Roy’s 1988 recording sessions just before his untimely passing in December of that year. A late addition to the CD/digital versions of Unchained Melodies is an alternate version of “Heartbreak Radio” that features a virtual collaboration between Roy and country music sensation Cam. The California-born singer/songwriter emerged as a breakthrough artist with her international hit “Burning House,” which garnered Cam her first platinum record, #1 country single, and Grammy® Award nomination for Best Country Solo Performance. Her 2015 major label debut album Untamed was met with widespread critical acclaim and instantly hit #2 on Billboard’s Country chart, becoming the highest selling debut country studio album of the entire year. In Dreams: Roy Orbison in Concert – The Hologram Tour has kicked off on October 2. A collaboration between Roy’s Boys and BASE Hologram, the first ever holographic tour in North American history will kick off in Oakland, CA and make its way through the West Coast, Midwest, Northeast, South and even parts of Canada. The 25-date trek, which utilizes Roy’s actual voice backed by a live orchestra, will culminate in Clearwater, FL on November 19, three days after the release of Unchained Melodies.